Consultative committee (Concom) member Eddie Mapag Alih expressed confidence that the Duterte administration’s proposed constitution will “definitely reduce poverty,” saying that there is no “one-shot” solution to such problem during the Kartilya forum sponsored by the Development Academy of the Philippines last August at the DAP Building in Pasig City. Alih said anti-dynasty provisions should be implemented in areas where there is a prevalence of political dynasties. He stressed that there is a positive correlation between prevalence of political dynasties and incidence of poverty. Alih claimed that what the Concom has proposed is purely a Philippine federalism that it called “Bayanihan Federalism.” He emphasized the need to change the constitution because the current unitary system of government has failed to respond to the needs of the Filipinos, “The unitary from of government is highly centralized and this has resulted in a slow-paced development,” he said. “Federalism is about sharing of powers and giving powers to other regions,” said Alih as he pointed out that there are powers included in the proposed constitution that are exclusive to the federal government and to the federated regions. Alih also highlighted that with a federalist system, there would basically be an equal sharing of the national wealth. “The federal government has all the powers to collect all taxes but there are taxes that are only exclusive to the federated regions,” he said. He underscored the impact on Mindanao of the proposed federal government once the proposed constitution is passed, as there will be 12 senators for Mindanao under this system, with Regions 9, 10, 11, 12 and 13 and the Autonomous Region in Muslim Mindanao all having their share of senators. 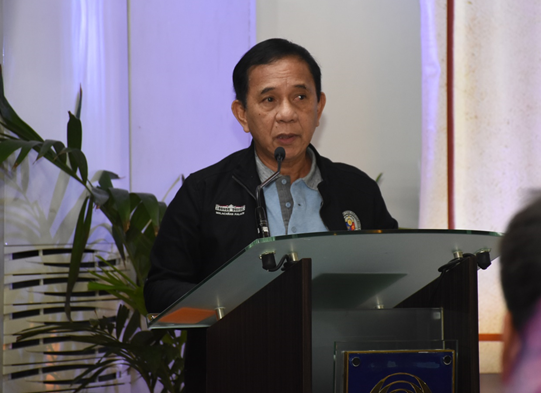 “We believe that the proposed constitution will improve governance and this is not only for Mindanao but it is for the whole country,” the Concom member said. Alih stressed that the body that made the proposed changes has also strengthened the independence and the powers of the Commission on Audit (COA) as it has again included the pre-audit function of the COA among its powers.